Reduce all enemies NP Gauge by 1. Increase Buster Card performance of all allies by 15% while he's on the field. 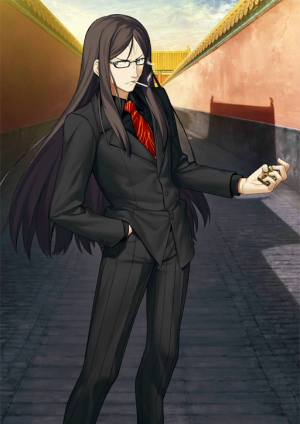 Lord El-Melloi II originally didn't possess the capacity or the history to become a Servant. 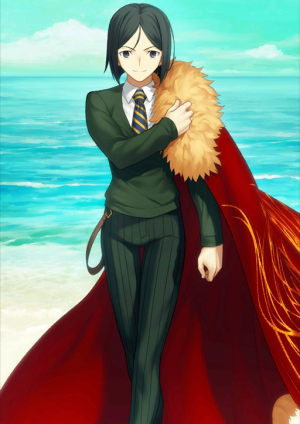 But by using the extremely special circumstances of this Holy Grail War, he successfully summoned Zhuge Liang, a Heroic Spirit from ancient China, by using himself as the vessel. Zhuge Liang was well-known as a superior politician and serviceman during the Three Kingdoms era of China. It is said that he played a great role in the small, weak kingdom of Shu in resisting the major kingdom Wei for a long time. 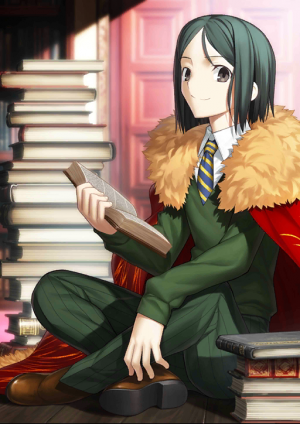 This Servant is neither El-Melloi II nor Zhuge Liang. 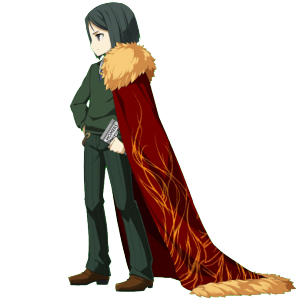 Both of their strengths fused together and enabled this Servant to unleash powers he wasn't able to before. The thought patterns and emotions are based on the vessel, El-Melloi II. Unique skill. 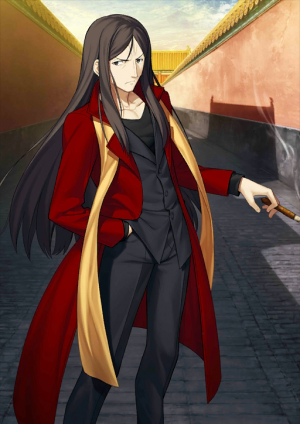 This skill did not originate from Zhuge Liang, but rather from El-Melloi II. Being the variant of Human Observation, this skill allows the user to tell the observed target how to maximize his/her full potential. The legendary formation used by Zhuge Liang when he had his troops retreat. Once anybody enters his stone sentinel maze, that person will be lost inside the maze until death. 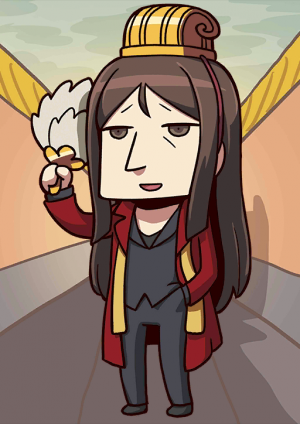 Pseudo-Servant... A heroic spirit that cannot become a Servant because they have summoned to the actual world by using a human body as its vessel. 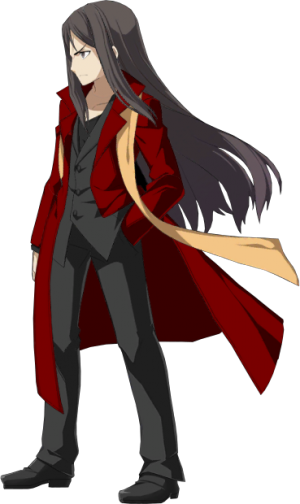 Several other Pseudo-Servants have been confirmed aside from Lord El-Melloi II. 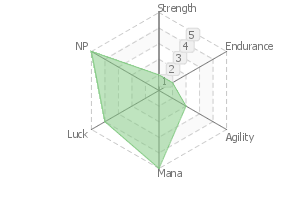 He shares the exact HP values (at both minimum and maximum) with Tamamo-no-Mae. He shares exactly the same HP and ATK values with Leonardo Da Vinci (at both minimum and maximum). This page was last modified on 3 January 2019, at 08:31.